American country singer and songwriter Ashley McBryde is among the dynamic musicians to have earned a place for herself in country pop, she was launched into the limelight by her well-composed song “A Little Dive Bar in Dahlonega” which was released in 2017. More so, she has composed and released so many jam singles as well as having intriguing albums to her credit. Stay with us as we unfold facts about her husband and relationship with the country star singer Martina Mcbride. Ashley McBryde is an American pop song composer and country music singer who was born on 29th of July 1983. She comes from Mammoth Spring, Arkansas, USA, and was raised by her parents William C. McBryde and Martha A. Wilkins. Music was just the calling of Ashley McBryde and it was noticed when she was very tender at the age of three as she started playing her daddy’s guitar. Her parents would always caution her to leave those musical instruments alone but all their warnings and plea was to no avail, so they made up their mind to go get a guitar for her. Ashley started learning with her new guitar and after several years of training herself, she composed her first song at the age of seventeen. Young Ashley was timid at first to share her song with other people apart from her immediate family, but after her enrolment into the University of Arkansas, she started playing her songs to other people and larger audience. In 2005, she recorded her very first album and it was released towards the beginning of the following year. One of her dreams, when she was still a teen, was to go to Nashville, the music city and this dream came to reality in 2007 as she finally moved to the great city of Nashville, and began playing in clubs and bars that needed her services, thereby gathering more fame to herself. Ashley McBryde became the winner of the Colgate Country Showdown talent competition for two consecutive times. In addition to that, her musical band became the overall winner of the Tennessee battle of the bands, and shortly after, her second album “Elsebound” was launched. After the release of her second album, Ashley was involved in the Southern United States musical tours along with several other musicians. Ashley McBryde in 2016, released eight singles in an EP titled Jalopies & Expensive Guitars. 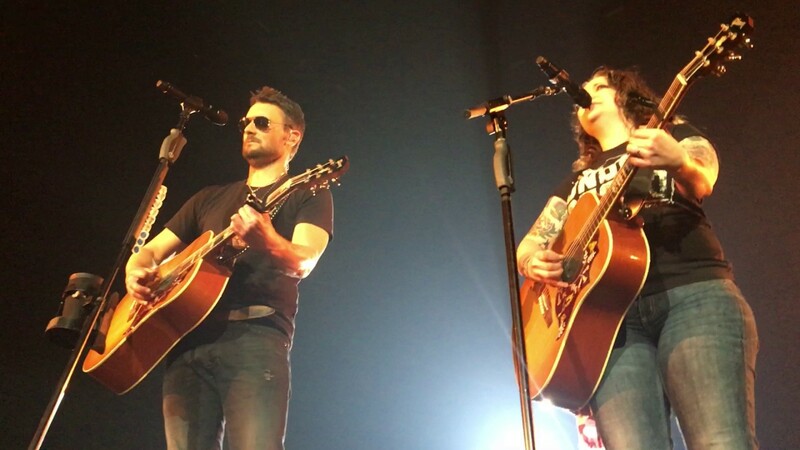 It was after the release of these songs that top American pop singer Eric Church praised her and requested that Ashley join her on stage to perform his songs. After the performance with Eric church, she started gaining more attention and fans. Subsequently, Ashley dropped another single “A Little Dive Bar in Dahlonega”, this was after she was signed by the Warner Bros. This song further pushed her into the limelight and it was selected as one of the best songs in 2017, according to The New York Times ratings. It was also rated as one of the Best Country Songs by Rolling Stone that same year. In the following year, another album that was produced by Jay Joyce and titled “Girl Going Nowhere” was launched on the 30th of March. Is She Related To Martina Mcbride? There have been so many speculations hovering over the relationship between Ashley McBryde and Martina Mcbride which have left people with no other option but to openly ask questions about how the music stars are related. To clarify the speculations so that when you hear about the musicians, you will easily know who is who, we would hereby bring to your knowledge that Ashley McBryde is an American country musician and song composer while Martina McBride, in addition to being a country singer and writer, is also a producer who is well known for her outstanding achievement in the country pop music. More so, taking a closer look into the surnames of the musicians, although they appear to be similar, they are not as Ashley answers McBryde while Martina’s surname is McBride. Is Ashley McBryde Married, Who Is The Husband? There is no detailed information about her marital status, as no one knows whether she’s married or still single and from the look of things, Ashley McBryde has been frugal with the information concerning her love life.